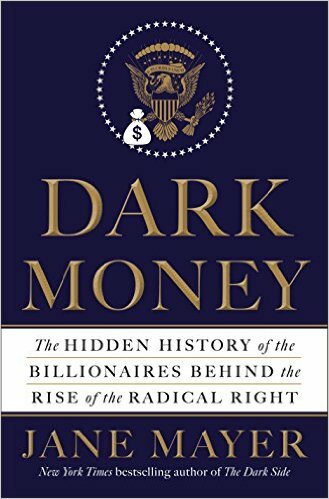 This week's Book Giveaway is Jane Mayer's Dark Money: The Hidden History of the Billionaires Behind the Rise of the Radical Right, which I read and enjoyed during my recent vacation. (There's nothing to beguile away a three-hour-long ferry ride like reading about the political fixations of creepy billionaires, in my opinion.) A full review will follow shortly.